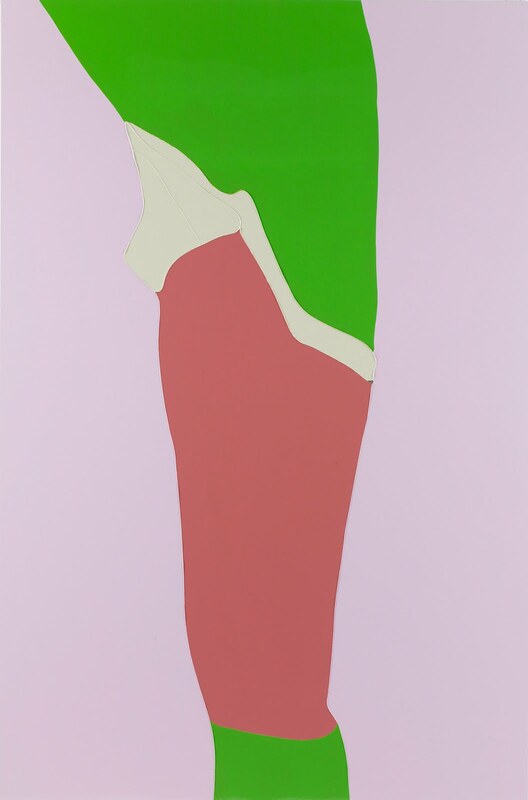 Gary Hume (b.1962)is back this summer in Berlin. It’s been 15 years since his last solo show in the city, so there’s a lot of excitement brewing. Having opened last Friday with great success, Hume presents a selection of new work including Berlin Bird, a major large-scale six-panel painting, a group of six paintings, four sculptures and, for the first time, five works on paper. The six paintings form a series of large-format works painted with Hume’s trademark seductive bright colours, given extra luminosity through the use of gloss paint on aluminium. Like the majority of Hume’s oeuvre, the images are stripped to their essential shapes, and this allows works such as The Bridge, 2009, to be read both as representation, as well as abstract interlinking shapes. The source images are taken from cheerleader magazines, with the unusual viewpoints and angles capturing the movement of the bodies, and closely-cropped images providing a visual challenge to the eye. Thinking about the concept of a cheerleader as an export of American culture, what this role / position signifies in the popular culture of a globalised, Hume’s deconstruction of this stereotype skilfully creates interplay between reality and illusion. 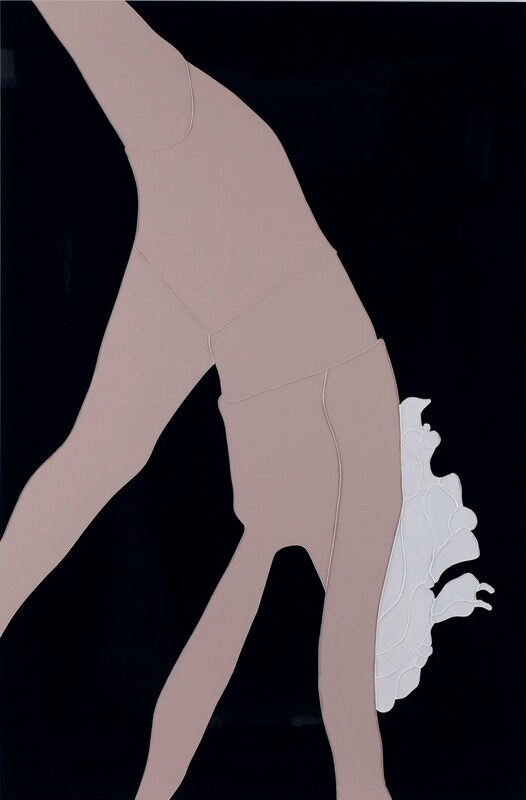 While the contrasting pastel colours and the cropped images of dissected bodies conveys a sense of dislocation and the disquiet at the heart of representations of American beauty. These new paintings relate to the earlier American Tan (2007) series, however, the new drawings are less closely cropped than the paintings and present instantly recognisable, images of women in strong poses. Works like Untitled, 2009, present a body and face in strong outline on a neutral background that contrasts and highlights the fiery orange colour of the figure’s hair. The beautifully shaped and tactile sculptures are conceived from mannequin parts, the human body in ideal universal form. Hume fuses the powerful limbs into static shapes latent with movement, and the vulnerability that their prone position conveys. Hume makes a model of the sculpture that is then carved by hand and laboriously finished with sandpaper. One or more surface is covered in bright gloss paint, creating a strong contrast between materials, and the work is mounted on a steel base and installed on a plinth. 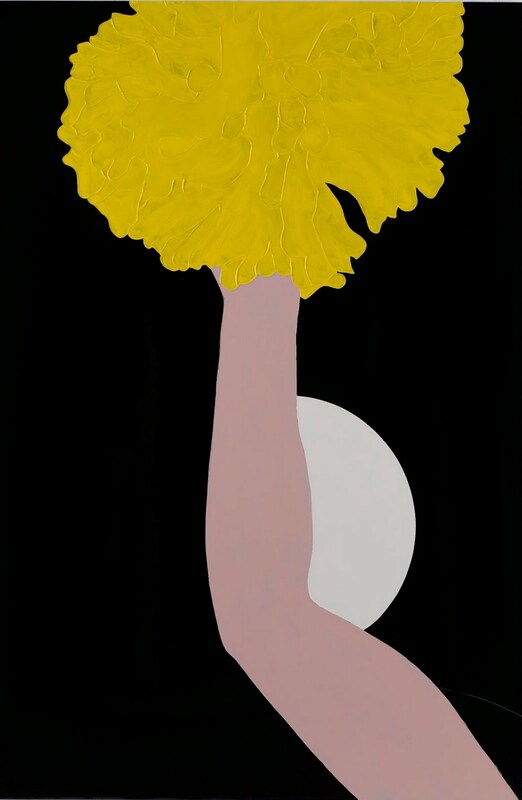 Gary Hume, Bird in a Fish Tank continues at Sprüth Magers Berlin until 21 August.